Onepu Spring Rd. Impressively spacious three double bedroom home with two bathrooms (main plus ensuite). 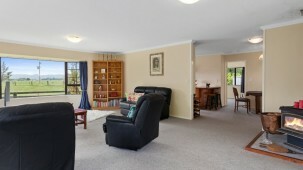 The lounge is enormous with Bay Windows giving a great outlook over the surrounding countryside. The lounge and family room both open on to a huge decked outdoor living area. The home has an open plan and is warmed by a free standing woodburner. The Kitchen features natural timber cabinetry and also enjoys an outlook over the land. Covered vehicle parking is by a carport off the back door and an adjacent double garage. 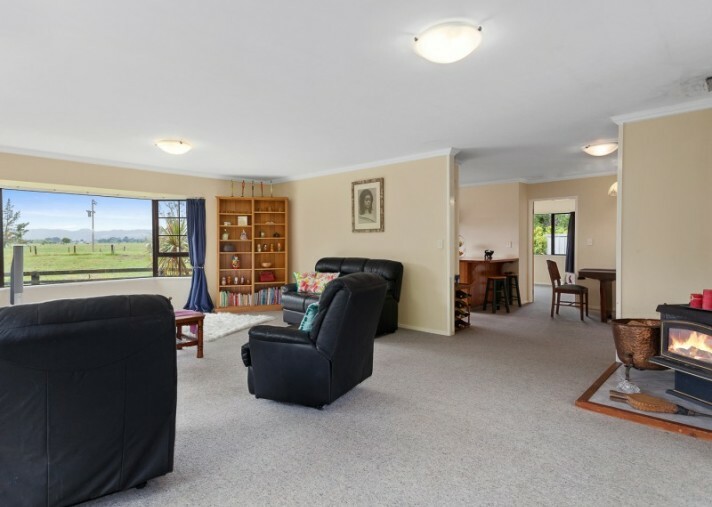 Set in rural Onepu, the home is surrounded by over three acres of grazing land. Buildings include stables and tack room plus a cattle pen and loading ramp. Representing excellent value, the price includes GST (if any). 1.347 Ha (3.39 acres).